Is this new invention worthy of your tastebuds? 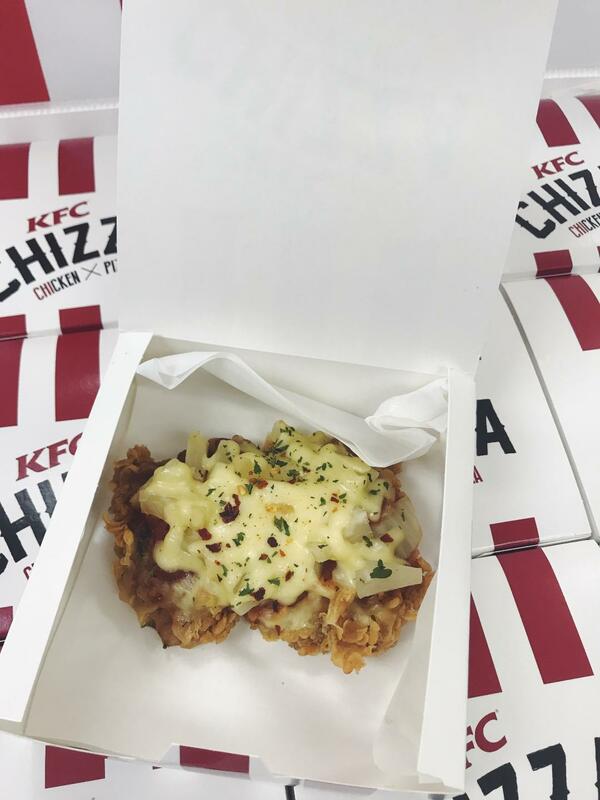 Some of us may or may not know about this elusive KFC Chizza that's only available at selected KFCs in Asia. 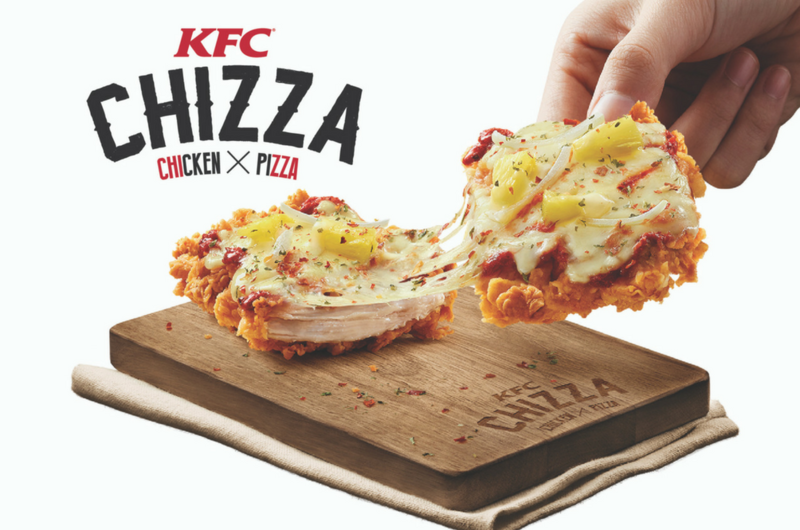 The Philippines, Singapore and Thailand were a bunch of lucky people who had the chance to taste this hybrid of chicken and pizza, which left the rest of the world (including us) wondering how it actually tastes like. Well, wonder no more, as KFC Malaysia will be releasing this exclusive dish starting this Tuesday, 21 November at all KFC outlets nationwide! So, what’s in this innovative food marvel? 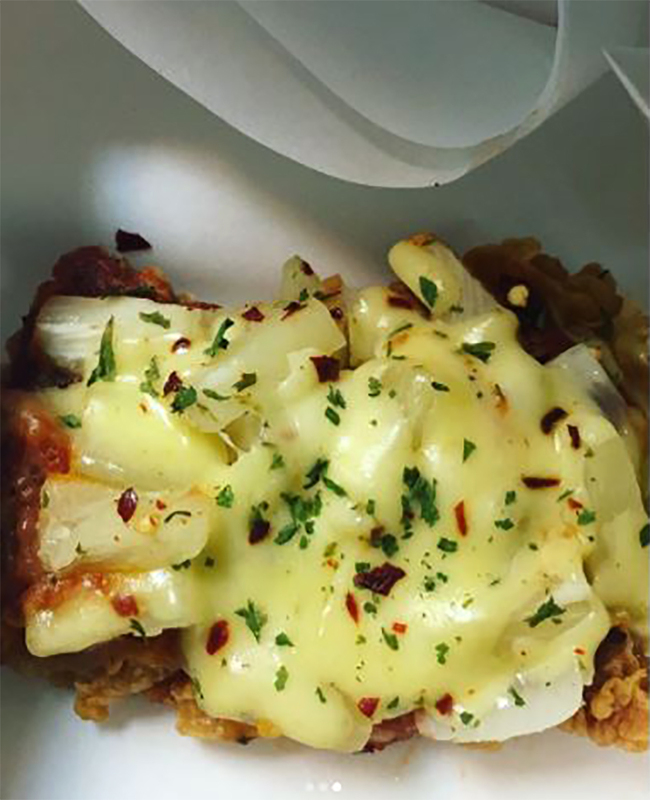 You will find rich tomato pizza sauce, juicy diced pineapples, onions, herbs, and gooey mozzarella cheese all on top of a crispy, succulent KFC Hot and Spicy chicken fillet. The Chizza is priced at a reasonable RM7.90 (ala carte). 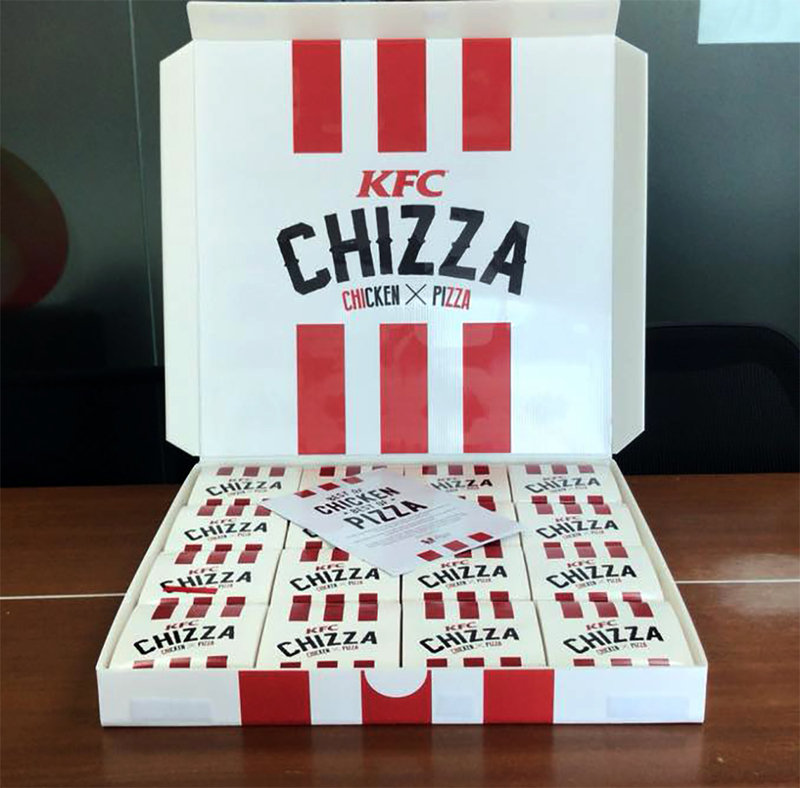 It’s also sold in combos or if you have big appetite you can get the Chizza Box – Chizza with a piece of Original Recipe or Hot & Spicy chicken, Crispier Fries and a regular carbonated drink. We know many of you Finger Lickin’ Good fans out there are anxious to try it out tomorrow, to know what it actually tastes like. Well, we at Rojak Daily are a lucky bunch as we had the privilege to taste this wonderful invention a day before the release. Thank you KFC Malaysia! So, without further ado, this is our mini review. If you've seen the pictures circulating around the internet and was taken aback by the size (they were pretty small), don't worry about the Chizza. The size of the box and the Chizza that comes with it is actually quite satisfactory and, to be honest, bigger than what we expected. At first, we were wondering how to dig in, but we guess you can either go the natural way – with your hands or keep it tidy with your cutlery. Each bite is literally bursting with flavours. Your tastebuds will be assaulted by the combination of the sweetness of the tomato sauce and pineapple slices, and the crispy spicy taste of KFC’s Hot and Spicy chicken fillet. The only (minor) complaint we have is the taste of the onions, which was a bit too strong for our liking. Also, the Chizza is laden with tonnes of pineapple slices. Seriously, it is A LOT. Basically, if you’re a fan of the Hawaiian chicken pizza, it tastes kind of like it and you’ll really enjoy it. Just a word of caution though: if you’re planning to eat more than one box, you may want to space it out and let your tastebuds and tummy digest it first. We ate two boxes at one go and we instantly regretted it as one Chizza can be quite filling. For RM7.90 a pop, we wouldn't say it's too much to pay for the Chizza, considering that the KFC Double Down was RM13. With that price tag and portion, we know that a lot of you will be ordering an extra box or two. 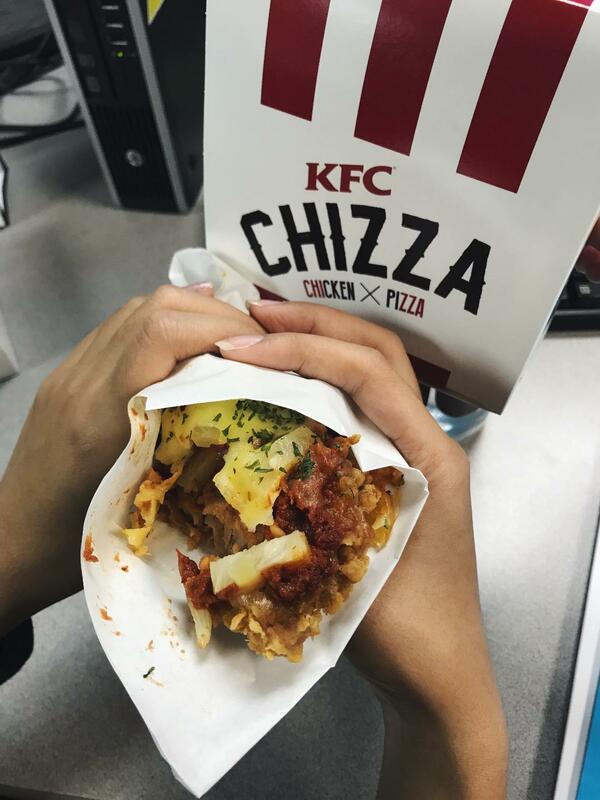 We think the Chizza deserves a solid four Colonel Sanders out of five. Is it worth the try? Definitely! So, mark your calendars and don’t forget to drop by the nearest KFC on 21 November!